Change can be hard, which is something both Supergirl (the person) and Supergirl (the show) realize. Though it’s still recognizably the same series it was last year, this new CW iteration of Supergirl is making adjustments both big and small. And rather than simply barrel forward with those changes in place, “The Last Children Of Krypton” allows both its heroine and its audience the chance to grapple with those shifts head-on. Change is a slightly meta theme for the show to tackle this week, but given that Supergirl has never been shy about turning subtext into text, it also feels like an appropriate one. After the delightful Superman-heavy excursion of “The Adventures Of Supergirl,” “The Last Children Of Krypton” focuses first and foremost on setting the table for season two. The biggest changes occur over at CatCo. Not only does Kara have to adjust to her misanthropic new boss, investigative journalist Snapper Carr (Cougar Town’s Ian Gomez), she also has to say goodbye to her trusted mentor, Cat Grant. Though Supergirl already announced Calista Flockhart would be a recurring guest star rather than a series regular this season, it still hurts to watch Cat go. Thankfully, the show creates a fairly natural motivation for her departure; following her own advice from last week, she decides it’s time to bust out of her comfortable shark tank and dive into uncharted waters. Melissa Benoist and Flockhart sell the hell out of their two goodbye scenes, one with Kara and the other with Supergirl. And while I’m nervous about the idea of a Cat-free Supergirl, this is probably about the best send-off I could’ve asked for, particularly because it leaves the door open for Cat’s occasional return. The mysterious Project Cadmus, meanwhile, is decidedly not into the idea of change, at least as it relates to godlike aliens living amongst humans. The xenophobic Cadmus Doctor played by Brenda Strong creates two Kryptonite-infused cyborgs with the hopes of ridding the Earth of its otherworldly visitors. And while her Metallos are defeated by the end of the episode, The Doctor is still out there to take down the Super-cousins (and Alex) another day. It’s mostly perfunctory villain-of-the-week/big bad stuff, with neither The Doctor nor her metallic henchmen rising above stock archetypes. But Supergirl helps make up for its less-than-compelling villains with some exhilarating action sequences. The show has revamped its action cinematography this season, creating a frenetic visual style that doesn’t rely on shaky cam, which is something I really appreciate. The tight close-ups, Dutch angles, and panning shots feel both visceral and appropriately comic book-y. And clever editing, like intercutting between the final Metropolis and National City showdowns, adds visual interest to what would otherwise be fairly standard fight sequences. Supergirl still needs to do some major work when it comes to creating dynamic villains, but the show doesn’t completely drop the ball in that department either. With all of those threats and changes swirling around her personal, professional, and crime fighting life, Kara latches onto Clark as a source of comfort and stability. Though he doesn’t get quite as much focus this week, Tyler Hoechlin again makes the most of every moment as the Man Of Steel. The episode opens with a zippy montage that makes putting out fires and stopping robbers with your cousin look impossibly appealing (#TooMuchFun). Kara even briefly considers joining Clark in Metropolis where they can be a full-time superhero double act and she can escape the less than perfect elements of her National City life. But while Kara clearly sees Clark as a sort of knight (cousin?) in shining armor, the show itself isn’t afraid to point out his flaws. Alex pushes back on Kara’s sunny version of a cousin team-up, arguing that in dropping Kara off with the Danvers and flying away all those years ago, Clark was in some ways shirking his responsibilities towards her. After all, Kara was sent to Earth to protect and raise her cousin, but Clark didn’t return the favor when her stay in the Phantom Zone reversed their ages. The Kara/Alex fight scene is great because it’s possible to empathize with all sides of the argument. Yes Alex is clearly jealous that Kara has been spending all of her free time with Clark, but she’s also got a point that he wasn’t as involved in Kara’s life as he could’ve been until it became convenient for them to team-up as superheroes. On the other hand, there’s clearly no bad blood between Clark and Kara so perhaps giving her over to the Danvers and acting more as a friendly uncle really was the best thing for her. It’s not a black and white situation, and Supergirl embraces that complexity rather than trying to simplify it. That same can be said for Clark and J’onn’s arguments over Kryptonite. Though J’onn eventually ends up handing over his supply of Kryptonite to Clark, I’m still not convinced he was wrong to hold onto it in the first place. Though his realism looks practically pessimistic in the face of Clark’s optimism, J’onn’s dark backstory adds credence to his cautious ways. I’ll be curious to see if Clark’s decision to rid the DEO of its Kryptonite supply winds up hurting him in the long run. Across the board, Supergirl has really ramped up its character work this season. And the show is even making an effort to imbue what could otherwise be throwaway exposition scenes with really humanity. 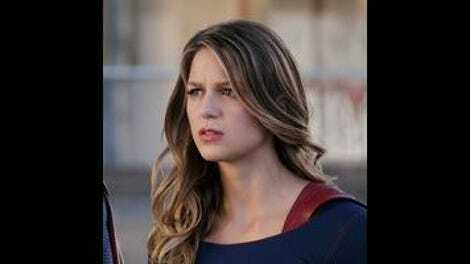 Before discovering a Kryptonite signature that allows them to chase down a DEO mole, Alex and Winn have a heart-to-heart in which she vents about her relationship with Kara and he discusses his experiences in the foster care system. Those little moments go a long way towards making Supergirl feel like a deeper, richer show, despite what it lacks in compelling villains or seamless plotting. Really the biggest problem with “The Last Children Of Krypton” is that it attempts to do too much, which leaves everything a little underserved. But that’s not the worst misstep for a TV show to make. 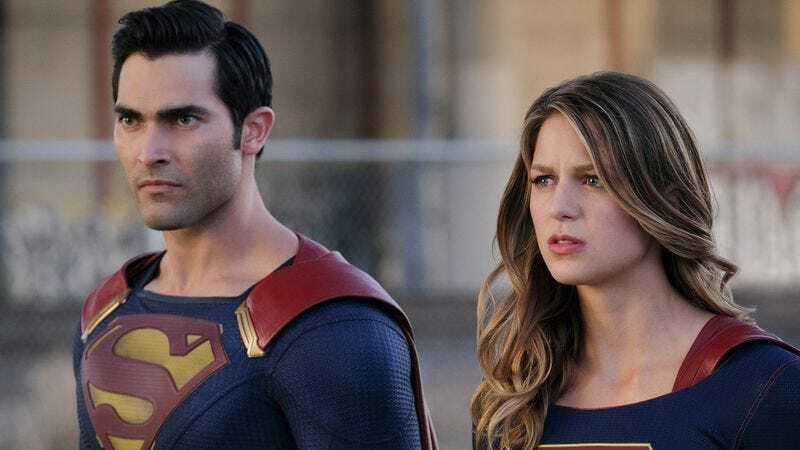 If it doesn’t cohere quite as neatly as “The Adventures Of Supergirl,” “The Last Children Of Krypton” still has a lot of great individual moments and the same newfound confidence the show displayed last week. Kara will always be stronger with her friends at her side than she is without them. But with Cat and Clark at least temporarily out of the picture, it’s time for Kara to turn and face the strange and figure out just what all these ch-ch-ch-changes have in store for her. I’d be more nervous about the conspicuous lack of James Olsen in this episode if it weren’t for his new CatCo job and the fact that the Supergirl showrunners just announced a new direction for the character this season. That said, does it make sense to promote a photojournalist who has worked at CatCo for less than a year as the company’s interim CEO? Given that it’s apparently strong enough to throw a car, why doesn’t Alex just wear that superpowered super armor all the time?!? Benoist gets in so many great comedic beats around her inability to form any kind of comeback to Snapper. Also as someone who severely overuses them, I’m impressed by Kara’s ability to turn in copy with zero adjectives. What a thoughtful, intuitive, pragmatic reporter! Though it’s totally obvious in retrospect, I really wasn’t expecting that scared little girl to transform into Martian Manhunter and it delighted me to no end. Speaking of which, Kara and Alex both refer to him as “Hank” in this episode even though I’m pretty sure they started calling him J’onn last season. Pick a lane, Supergirl. I’m debating whether Superman’s “I’m with her” line is a subtle Hillary Clinton nod or a play on the “I thought she was with you” moment in Batman V. Superman.